This book was and wasn’t what I thought it would be. And it was a ride. I nearly read all in one day. I started it mid-afternoon when things were slow at work and for the rest of the day, I tested how far I got in it. And, boy did I get far into it. The story follows Korede, sister to Ayoola. She gets a call in the middle of the night from her sister saying that something had happened to her boyfriend. It isn’t her first call like this either. No, it’s the third. In a row. And, as she has done for her whole life, Korede helps clean up Ayoola’s mess. Until it starts getting closer to home. It took some odd turns that I wasn’t that into, although I could see the literary merit of including certain scenes and subplots. However, for me, the story seemed to be about a sisterly relationship that is strained in the oddest of ways. I never really liked either sister. 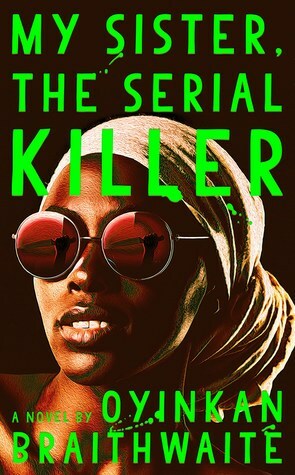 Ayoola was interesting but the usual psychopath. Not that interesting to me. Then, Korede also was interesting but, ultimately, I didn’t see any growth as a character. The plot was quick and easy. That’s why I rated it so high. Everyone else just fell flat and the subplots and some of the information the flashbacks introduced didn’t pan out or matter. I saw where it was going, but it never had a pay off. Good and fast plot, but I wasn’t in love with the story.